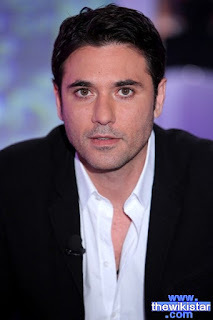 Ahmed Ezz, Egyptian actor, was born on July 23, 1971 in Cairo, the capital of Egypt. Full report on the life story of Ahmed Ezz, biographical information from Wikipedia and the latest news. Ahmed Ezz was born on July 23, 1971 in Cairo, the capital of Egypt. He appeared with artist Asala Nasri in a video clip for Mei Jet in the eyes, and also appeared in a small scene in the film "The Night of the Night" by director Inas Al-Deghaidi, who gave him the chance to play a leading role in the film Memoirs of a Teenager. In 2004 he drew attention to him when he starred in front of the artist Yousra in the series King of spiritual and then film love girls and the first year monument. Ezz then moved away from romantic roles and moved to action films and action. Ahmed Al-Jameel dreamed of acting from the days of the school and beyond the university and was following the artistic world from afar, but he did not think about studying acting because the production time was very limited and feared there was no chance to work later. He studied English literature at the Faculty of Arts (Ain Shams University) , And after graduating work in the field of hotels. But he did not forget his dream of acting. He started working in the field of fashion shows in the hope of opening the doors of cinema, but he discovered that this work was not enough. He started hesitating at the production offices in search of an opportunity. He went to the office of director Inas al- The words of the night, but drew attention to the need to study representation. After that, he joined a number of workshops such as the studio of the actor Mohammed Abdel Hadi and Mahmoud Hamida to support his talent for studying. He continued to visit director Inas Deghidi from time to time to tell her what he was doing and when she began preparing for a teenage diary. Until now he did not get married but he loved three times and he wished to end the marriage but he failed and the reason he likes to occupy more than himself and loved him. Egyptian actress Zeina announced in 2014 that she married artist Ahmed Ezz earlier, and gave birth to two twins, Zinedine and Izz al-Din in October 2013, and with the announcement caused a media sensation about the subject of their marriage, but Ahmed Ezz denied it.